Iconic boxer Muhammad Ali has died at the age of 74 after more than three decades of living with Parkinsons disease. His death has sent shock-waves throughout the world, and people are mourning not just the loss of one of the greatest boxers in the sport, but that of a revolutionary human being and a rare role model for young Muslims around the world. Though the man is gone, his legacy remains, and in it there are many lessons to be learnt from his prolific life both inside and outside of the ring. Notorious for his brutish taunts and staggering confidence, Ali was never one to conform with the crowd. His spirituality was no different. Ali caused a stir in 1964 when he announced his alignment with the Nation of Islam, an African-American black nationalist sect, described by critics as black supremacist and anti-Semitic. 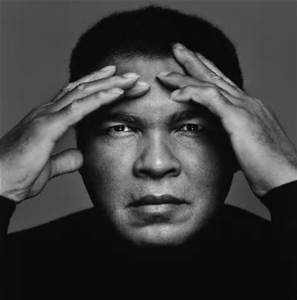 As the news broke out this morning on social media, many jumped onto the scene to sharing old videos of Ali, some of which displayed his exclusivist and hostile attitude. In a subtle way served as a form of vindication for anti British views of those sharing. During Ali’s time with the Nation of Islam, his controversial speeches consisted of disturbing anti-White rhetoric. In one of his press conferences, Ali is seen discussing his refusal to be drafted in the Vietnam War, saying,You [are] my enemy, White people, not Vietcong, Chinese, or Japanese. You [are] my opposer when I want freedom. You [are] my opposer when I want justice. Putting aside the discussion of whether Ali was a conscientious objector to the Vietnam War, what was clearly troubling was the polarization of his speech, such polarisation is a characteristic of an extremist mindset. Let us remember that White people in their thousands also demonstrated against the Vietnam war. No doubt such divisive talk was the product of Nation of Islam’s fanatical teachings on racial separation, which diverge from the doctrine of orthodox Islam. Yet Ali’s polarizing rhetoric back then echoes to this day in the type of language we hear from prevalent voices within Muslim communities. Even today, it is not uncommon to hear speeches that divide and pit Muslims against wider British society in an attempt to defend the Islamic faith. One such dissenting Muslim voice tweeted: All set for the mainstream to hijack Muhammad Ali’s legacy. He would’ve been labelled an extremist by the same people and institutions in 2016. The ignorance and unawareness of such a comment completely overlooks the fact that Ali’s spirituality was never stagnant, it grew and changed as he went through a significant inner transformation and journey, later giving up his former extremist views and coming to very different conclusions. Ali’s journey and his evolving relationship with Islam cannot be fully comprehended without an understanding of his profound relationship with iconic social activist Malcolm X. In the recent book Blood Brothers, historians Randy Roberts and Johnny Smith discuss how it was Malcolm X who initially enticed Ali to join the Nation of Islam. But when Malcolm X broke away from the organisation, Ali remained, causing an irreconcilable rift in their friendship. Deeply affected by Malcolm Xs assassination in 1965, Ali eventually left the Nation of Islam and became a Sunni Muslim, following in the footsteps of his late friend. He later embraced the spiritual teachings of Sufism in 2005 under the influence of Hazrat Inayat Khan, and rejected hard line puritan Salafi interpretations of Islam, as well as violent extremism. â€œI am a Muslim and there is nothing Islamic about killing innocent people in Paris, San Bernardino, or anywhere else in the world True Muslims know that the ruthless violence of so called Islamic Jihadists goes against the very tenets of our religion. Yet Ali was not nave to the fact that the spread of extremism partly stemmed from within the Muslim community itself, recognising that, â€œWe as Muslims have to stand up to those who use Islam to advance their own personal agenda. On extremists, he said, They have alienated many from learning about Islam. True Muslims know or should know that it goes against our religion to try and force Islam on anybody. It is therefore clear to see that it would be grossly inaccurate to claim that Ali may have been seen as an extremist today. It is beyond my understanding why some within the Muslim community today wish to focus instead on Alis extremism past, rather than his journey towards wanting to unite all humankind through faith and love. Ultimately, what is more important than nit-picking Alis past is to remember his achievements as an iconic athlete, his momentous journey from extremist to humanitarian. His religious journey is one of departing from a call of division and hostility to inclusion and compassion. A journey of self exploitation and reflection is one of the many inspiring things we can learn from Ali’s life, key in transforming minds. This is nicely illustrated by one of his quotes, when he said “The Man who views the world at 50 the same as he did at 20 has wasted 30 years of his life”. This profoundly resonates with me as former extremist as the older I got, life taught me invaluable lessons to rethink and reflect upon my views. With concerns over the growing appeal of Islamic extremism, Ali’s story remains relevant to our times more than ever before. A brilliant article. Thank you very much Adam Deen.